Don’t make me think when I’m snacking! I recently bought a packet of Red Vines. I think they’re supposed to be cherry or strawberry flavoured (flavored) chewy sweets. I have begun referring to them as ‘Plastic flavoured chewy plastic sticks’. I call these ones ‘Chewy plastic flavoured plastic sticks’. Anyway, today’s post isn’t about the variety and quality – or lack thereof – of American sweets (candy). How does this make any sense? Why not display the calories per bag, per half bag or (if common sense were even a factor in any way, shape or form) per stick?? I think the purpose of this laughable piece of information is to confuse, bewilder and appear somehow less calorific to the calorie-conscious of us pushing these into our faces like a log into a chipper..
By the way, it’s a total of 490 calories…in case you were wondering. 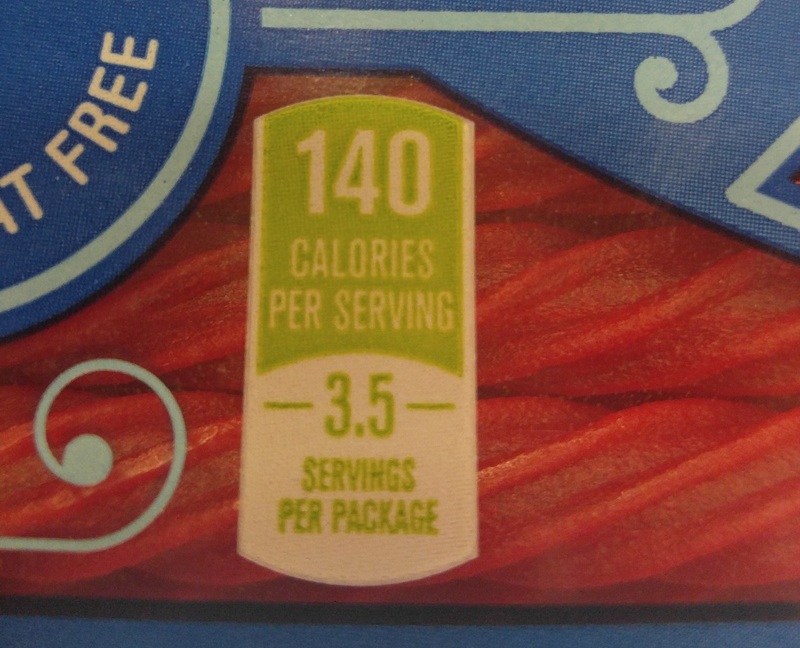 Surely it would just make more sense to display it as 123 calories per serving, with 4 servings per package? But no; that would be too easy. Some dipshit thought 3.5 servings was the best way forward. Then again, maybe it’s a smart move on the part of the government. Maybe it’s a subtle attempt to increase the brainpower of the average American by surreptitiously posing mathematical equations on their junk food in a bid to sharpen their minds while they soften their waistlines.